The forest also draws attention in the world of architecture. 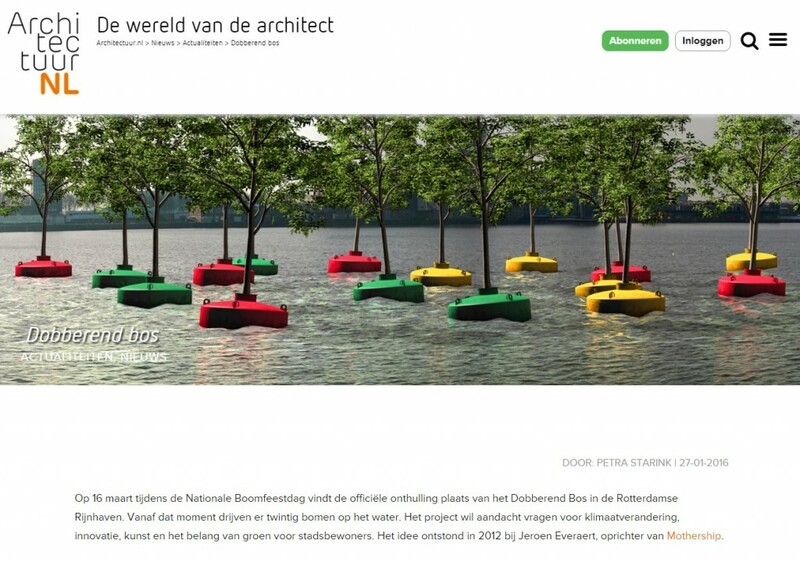 Architectuur.nl published an article about the Bobbing Forest and how Jeroen realised this forest together with all of our partners. The article (in Dutch) is found here and read a premium article about Mothership and the Markthal here.